Yesterday, the Huffington Post reported on a new study by sociologists Wendy Manning and Jessica Cohen concerning the relationship between cohabitation prior to marriage and the risk of divorce down the road. As it turns out, the divorce rates among couples who did cohabit and those who did not are fairly equal. While the authors of the study looked at factors such as gender, and level of committment — whether or not the couple planned to marry from the start — nothing in the report suggests that the authors considered whether the cohabitation took place before a first marriage or a second or subsequent marriage. In Connecticut and many other states, the decision to cohabit before a second marriage carries an added risk — the prospect of losing alimony whether or not the new relationship works out. In most cases, alimony terminates on the remarriage of the recipient. Under the so-called Connecticut cohabitation statute, things are not so clear-cut. The Connecticut cohabitation statute uses peculiar language. Most importantly, it does not include the word ‘cohabit’. Instead it allows a court to suspend, reduce or terminate alimony if it finds that the recipient is living with another person under circumstances that alter his or her financial needs. While the language is broad enough to include roommates, relatives, and even long-term guests, the courts have generally interpreted the statute to be focused on couples living together without the benefit of marriage. As broad as the language of the cohabitation statute is, cohabitation can be tricky to prove especially when the couple separates in reaction to a motion by an ex-spouse to terminate alimony. Still, the cost of cohabitation for anyone receiving alimony can be loss of a stream of income that might otherwise have continued for years. 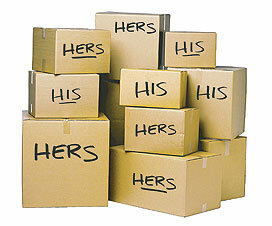 While courts have the option to suspend or reduce alimony on a finding of cohabitation, termination is far more common. Once alimony has been terminated, it cannot be reinstated. So if the Manning/Cohen study tells us that cohabitation prior to marriage doesn’t reduce the incidence of divorce, at least for second-timers whose existing alimony is at risk, it might be wise to test a new relationship from a safe distance.